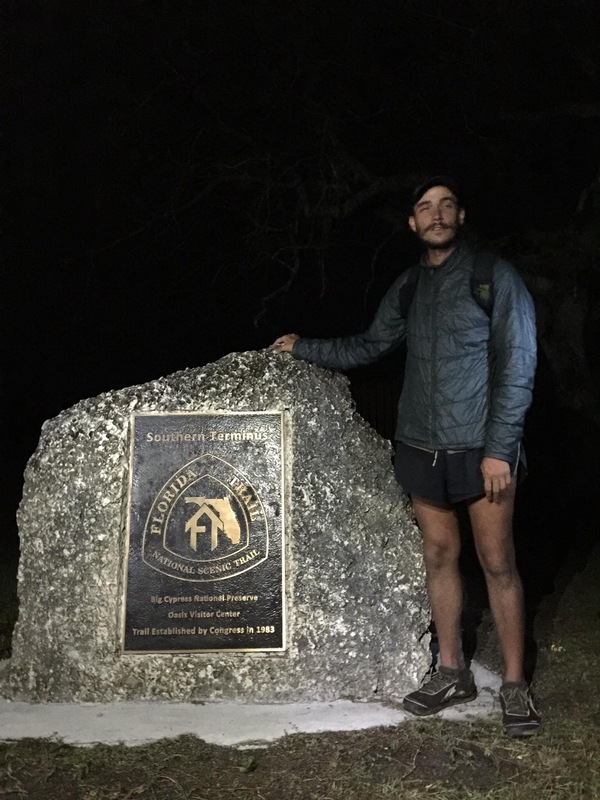 James “Jupiter Hikes” Hoher, a member of the Florida Trail Association Loxahatchee chapter, has just set a new record for Fastest Known Time (FKT) for an unsupported hike of the Florida Trail. Cruising along at distances of up to 53 miles per day, he bested the record set by “Tatu Joe” Kisner in 2012 by a day and 12 hours. 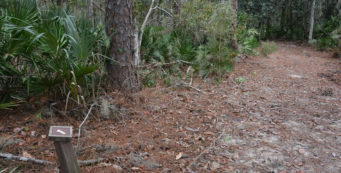 Phil “Concrete” Phelan had taken on the challenge early in 2016 but was stymied by excessive wet conditions; he ended up doing the first yoyo hike of the Florida Trail during his attempt. 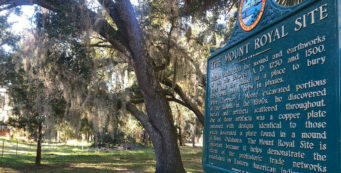 The new unsupported record for a Florida Trail thru-hike is now 28 days, 10 hours. 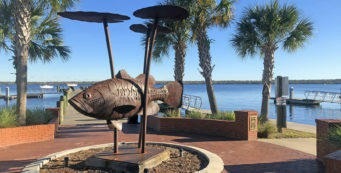 James completed this accomplishment as part of a hike of the Eastern Continental Trail; he started in Cap Gaspe, Quebec on July 1, arriving in Florida by foot on December 5. This, ladies and gentlemen, is one hell of a hike. Many thanks to “Trucker Bob” Finley for being on hand to capture Jupiter’s completion – during the Florida Trail Kickoff, when thru-hikers are headed north into Big Cypress – and for sharing this photo! 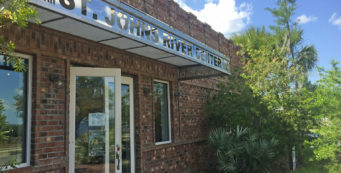 Congratulations James “Jupiter Hikes” Hoher! What an adventure that hike must have been.